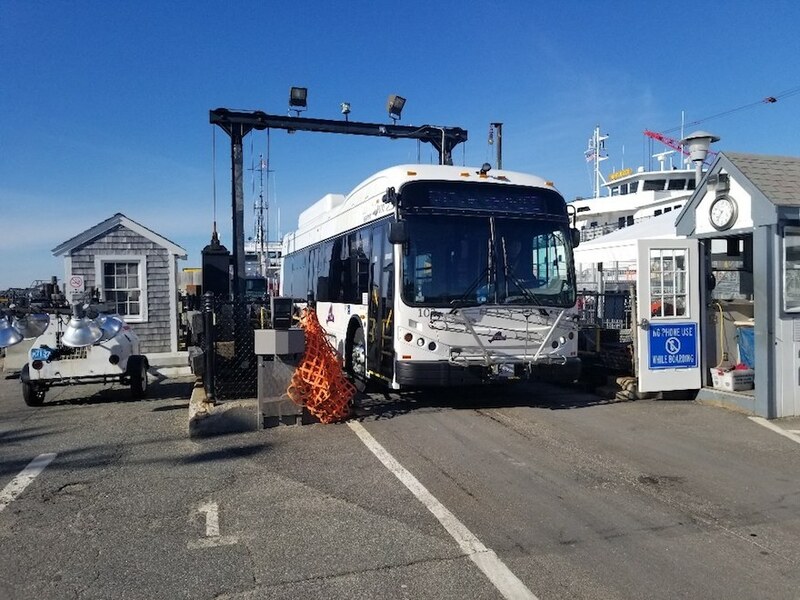 A VTA electric bus drives off the ferry in Woods Hole. The bus is on loan to the Steamship Authority. - Courtesy SSA. The Vineyard Transportation Authority has loaned one of its new electric buses to the Steamship Authority for evaluation, Steamship Authority spokesman Sean Driscoll and VTA administrator Angela Grant told The Times. “We’ll have it a couple of weeks,” Driscoll emailed. The SSA will “see how well it’s received” and “how the drivers like it,” Grant said. Grant said being down one electric bus for a short while doesn’t put a dent in the VTA bottom line because they field a mixed electric-diesel fleet, and because it’s off-season. Asked if the SSA and the VTA might buy electric buses in bulk jointly in the future, Grant said the economics don’t support such a venture. “We don’t have the numbers between us,” she said. Because the SSA has no charging stations, it wound up borrowing something else from the VTA. “We have their portable generator to charge the bus,” Driscoll wrote. This is the second time the VTA has loaned a bus to the SSA for a test drive. 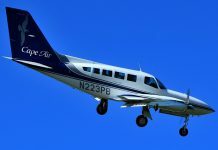 In November, the VTA loaner got rave reviews, especially in light of the gripes about new buses the SSA was running between the Woods Hole terminal and its parking lots. The SSA doesn’t have a good history with the buses in its care. Let’s hope the VTA doesn’t get it returned on the back of a flatbed, blackened and charred.